One of our favorite things about smartwatches is that no two smartwatches are alike: even apparently identical models from the same manufacturer can be customized to better suit whoever’s wrist they’re strapped to. Let’s discover how to set up and customize your smartwatch. Not all smartwatches can be customized on the outside, but many Android Wear watches can. For example, you can buy replacement/alternative straps for the Moto 360, the LG G Watch and G Watch R, the Samsung Gear Live, and the Asus Zenwatch. Apple offers alternative straps for its Watch too, albeit often at eye-wateringly expensive prices. Everybody’s taste is different, of course, so we’re not going to suggest particular straps or designs. What we think looks just great might be absolutely awful to you, and vice versa. What we would say, though, is to watch out for a few common issues. For example, leather straps – brown ones in particular – are often very different colors in real life than in the product photography and, in some cases, we’ve seen third-party strap sellers use photographs of straps that clearly came from the smartwatch manufacturer, rather than the third-party strap maker. As with smartphone cases, there are some pretty crappy ones out there so it’s a very good idea to see the strap up close rather than order over the internet. If that isn’t possible, read the reviews online and keep an eye out for obvious astroturfing, which is when manufacturers get lots of fake reviews praising their product to the heavens. First up, you need to set up your smartwatch. In this article we’ll describe how to set up an Android Wear smartwatch; devices with other OSes, such as the Apple Watch or Samsung’s Tizen-powered Gear 2, will follow the same basic principles, but the details may be little different. Once you’ve installed the app, launch it and follow the instructions to pair your smartphone with your watch. Pairing connects the two devices: while a lot of Android Wear happens on the watch, some key data is processed by your phone. Once you’ve paired your watch the next step is to configure it. The specific options will differ from watch to watch, but in the case of the LG Watch Urbane, the screen gives you a settings icon, a choice of watch faces and links to essential watch apps. You can use the settings to configure your watch to your particular requirements, for example by changing how long the screen display stays on for and muting notifications from particular apps. As with regular Android, there are lots of apps that enable you to change the way your Android Wear watch looks and works. Wear Mini Launcher is a launcher app that makes launching apps considerably more touch-friendly and Wearable Widgets enables you to get notification widgets from your phone on your watch if you have a Sony Smartwatch 1 or 2. You can have a lot of fun using the WearFaces app to create your own custom watch faces on the LG G Watch, Samsung Gear Live or Moto 360. If you’d rather have somebody else do the hard work of designing your watch face, there are some really good ones to choose from. 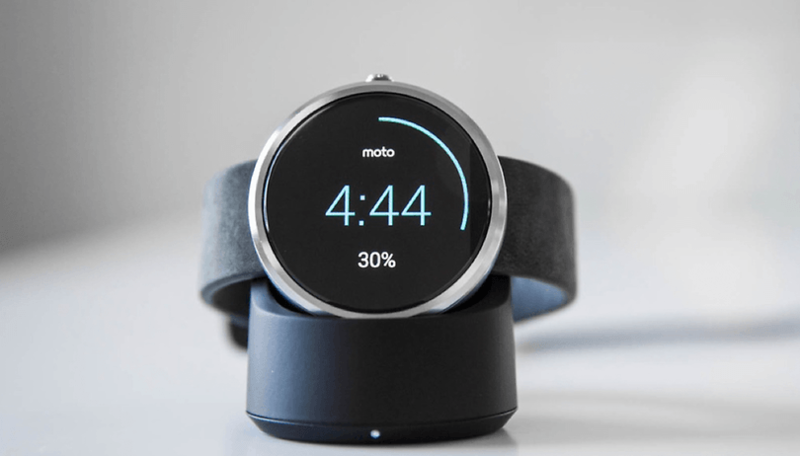 We like the accurately named Minimal & Elegant, which is particularly nice on the Moto 360, and Pujie is superb for anybody who likes to tinker, which, given Android’s popularity, means most of us. If fitness is more your thing, the Runner face is well worth a dollar or so, while Runway combines weather forecasting and timekeeping in a very attractive way. And if you’re feeling a bit less serious, why not go for the Pac-Man Watch Face? That’s only 99 cents. Of all the Android watch apps, one of the best is WatchMaker Premium. For four dollars you get a framework that enables you to download thousands of user-created faces, and you can also use it to create your own. There’s a free version offering six watch faces for your smartwatch, but the full app is well worth paying for if you’re interested in other people’s designs or fancy making your own. Have you made your smartwatch look really unique? Let us know how in the comments below!